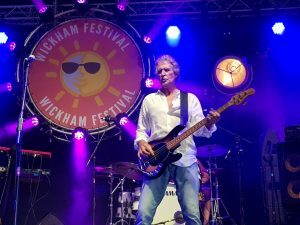 There was a real throwback to the Eighties as a trio of top bands made it party night at the Wickham Festival. Headliners Squeeze wheeled out all their hits and more in a polished and slick set which had the Valley Stage dancing as the evening reached an exciting crescendo. It was a tall order for the chart-toppers as they had to follow in the wake of John Illsley, the former Dire Straits bass guitarist who played 75 minutes of hits by arguably the biggest band of the Eighties. 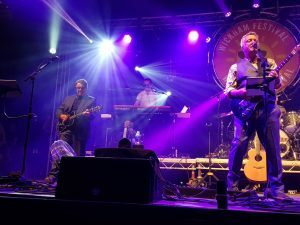 Sultans of Swing and Tunnel of Love were highlights as the Hampshire pub landlord powered through some of the vast catalogue of top tunes to the delight of the packed crowd already on a high from Tom Robinson’s set. He showed he is as relevant and as passionate as ever with a fantastic and often emotional performance, none more so than during the ovation for Glad to be Gay which moved not only the singer but many in the crowd. 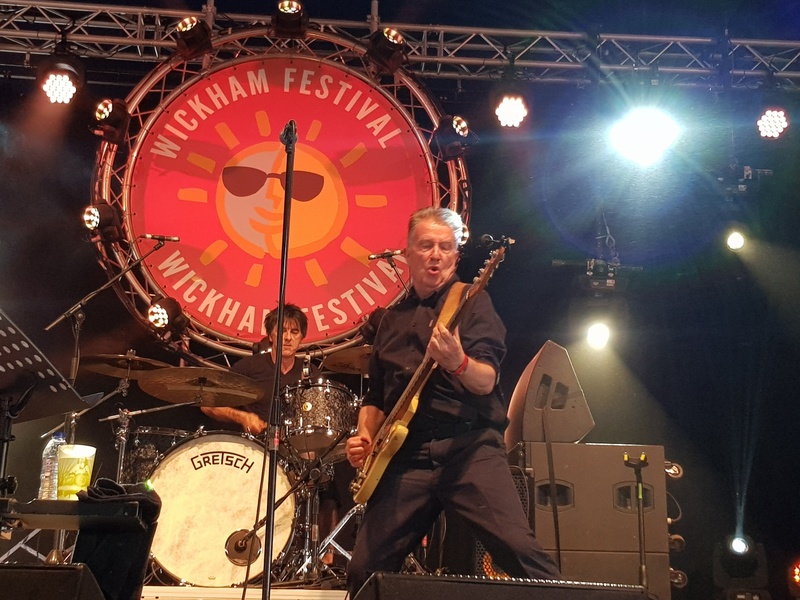 If you missed Tom Robinson – or want to see him again – he will be celebrating the 40th anniversary of Power in the Darkness by playing the whole of the iconic album at the 1865 in Southampton on October 20. His excellent show followed on from the coup of the popular Pierce Brothers and the livewire show from Gordie MacKeeman and his Rhythm Boys. 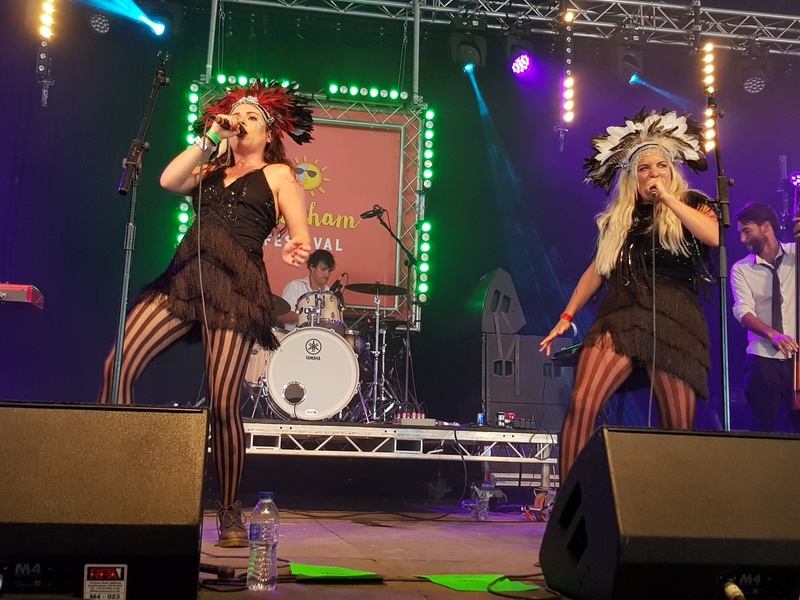 It was another tough night for choices as the excellent Ferocious Dog closed the evening on the Village Stage in style to the delight of their many fans. Earlier the tent had rocked to a lively set from Merry Hell and the unique style of the Electric Swing Circus who had been due to perform here a year ago. However, enhanced airport security checks caused them to miss their flight and forced them to cancel a gig for the first and only time. They more than made up for it with a vibrant and energetic show which proved hugely popular – even if fans weren’t quite sure how to describe what they had just seen! And there is still a full day to go with more tough choices between the two main arenas. The Valley Stage boasts gritty Irish singer Mary Coughlan followed by guitar legend Richard Thompson and then Jon Boden, former lead singer of Bellowhead. 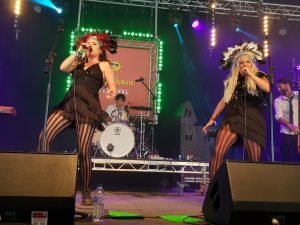 Meanwhile, the Village Stage hosts the manic madness that is the showmen of Tankus the Henge, always popular here. They are followed by another festival favourite in the Red Hot Chilli Pipers and then the Undertones. Day tickets are available on site, cash only with children Under 10 admitted free and those aged 10-16 getting half-price. Parking is free and plentiful. 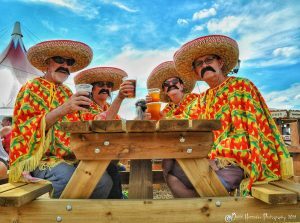 With more unbroken sunshine forecast, a big crowd is expected to sample the wide choice of food, real ales and ciders and beers as well as the many stalls and free children’s entertainment. And if you needed further proof of the family-friendly safe setting, one fan was in despair after losing her phone with £120 in the case. It was handed in with cash and credit cards intact. It’s that sort of event! *If you have enjoyed the festival then why not book for next year now? Save £80 on a weekend ticket (August 1-4) if you book for 2019 before you leave. Visit the box office for details.